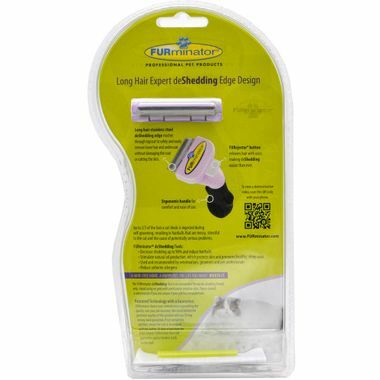 FURminator long-Hair deShedding Tool for Small Cats is a deShedding Tool for cats with coats more than 2 inches. This Furminator features patented deShedding edges designed to reach beneath long topcoat to gently remove undercoat and loose hair. For long hair cats up to 10 lbs. 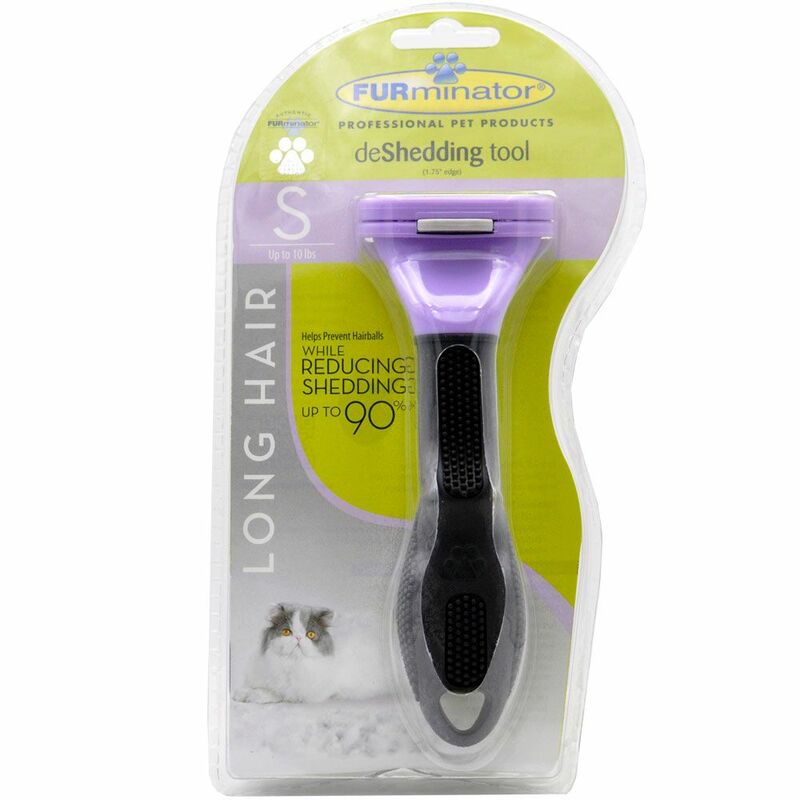 Stainmore steel deShedding edge reaches deep beneath your cat's long topcoat to gently remove undercoat and loose hair.